It looks like a mirror, but it's a 3D scanner and scale delivering accurate metrics of body including weight, height, BMI, and measurements. Naked Labs wants to be brutally honest with us about our bodies in a way a mirror, scale, and maybe a personal trainer could never deliver ? 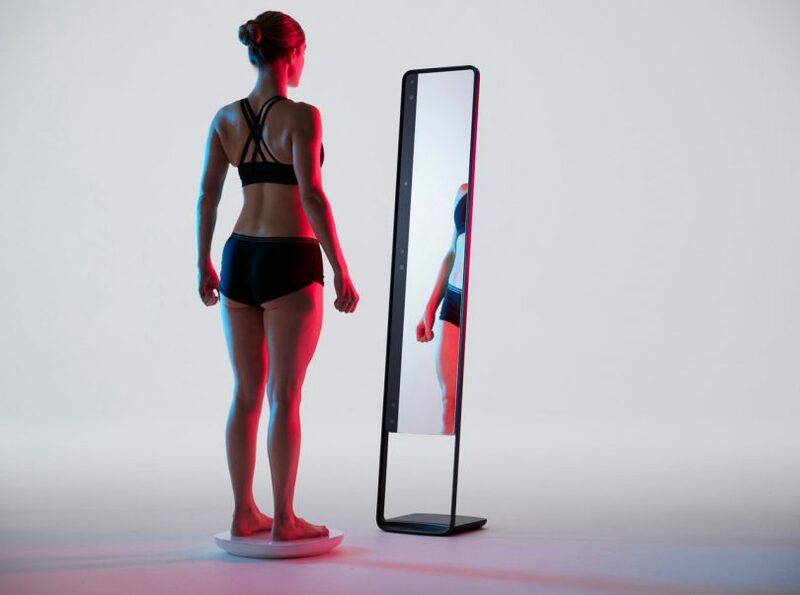 a full-length mirror equipped with an array of 3 Intel RealSense depth sensors designed to accurately capture the body in all its glory, producing a 3D model in just 15 seconds. Aimed to aid fitness enthusiasts and athletes in tracking their head-to-toe measurements and body fat percentage with a greater level of accuracy than formerly available at home scales, this is either a dream or nightmare. The Naked is actually a vertically-oriented personal computer housed in the form factor of a mirror, complete with its own Intel x86 processor outfitted with 4GB of RAM and a 64GB SSD drive inside to crunch data captured by the trio of Intel RealSense 410 series cameras. Accompanied with a sidekick scale, the system captures not only body weight, but also rotates users slowly for a complete 360-degree scan from every angle and uses its own proprietary algorithms to calculate body fat percentage. Wi-fi/Bluetooth allows the Naked to push captured measurements over to an app for review, displaying metrics including body fat percent, lean mass and fat mass, circumferences, side-by-side comparisons, and graphs of historical data.